A bad wind was blowing in Boone as a cold front moved in a few weeks ago. I climbed up on my roof to upgrade my weather station, adding a precipitation melter to log the amount of liquid equivalent of snow that would fall in the approaching storm. I have always liked watching the weather, and my work as an observational astronomer requires me to keep a finger on its pulse. I had installed a weather station at home and even put it on the Web to check it when away from home (VilasWeather.com). A month before, I had added another length of pipe to get the station higher above my roof. I suspected that the roof kept the temperature readings a little too high and interfered with the wind readings. I probably will never get real accurate wind readings due to trees to the north, but it is the best I can do. At least I try to get good data, to do good science. A story that week in the paper caught my attention: Winds reported at Grandfather Mountain had exceeded 200 miles per hour. Whoa! Could that be real? I e-mailed a regional weather expert -- what was his take on this? That's when I was put in contact with other weather experts in the Carolinas, and I discovered the real story. Wind speeds logged at a nearby peak of similar elevation had barely made 75 mph. Computer models and weather balloons indicated a maximum of 150 mph at 43,000 feet. Experts suggested peak winds were about 100-110 mph at Grandfather. And, if Katrina's 150 mph winds devastated the Gulf coast, how can anything be standing on Grandfather after 200 mph winds? The GFM wind sensors are installed just above a rooftop on a three-story building. 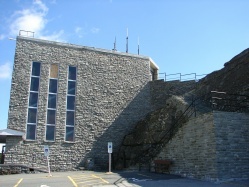 A rock wall adjoins the building, making a sort of funnel that faces northwest, the predominant direction of winter winds. The wind is forced to rush over the roof, increasing its speed. This has a wonderful effect in some cases. Air that is forced to move faster over the steeply curved upper surface of an airplane wing causes a drop in air pressure, lifting the airplane. The science of the Bernoulli effect gives us flight. But in this case it just causes wind speeds that are not representative of the actual, local weather. That's bad science. The National Weather Service used to have wind-speed equipment there but was not satisfied with its location. After some years of complaining, they finally removed their anemometer in 2001, refusing to be associated with invalid data. The National Climatic Data Center and the N.C. State Climatology Office do not want the data, either. GFM reacted by installing its own wind gauge in the same location and issuing its own press releases of extreme conditions. It is true that Grandfather Mountain does get high-speed winds, if not as high as reported. Even higher wind speeds are reported at the weather observatory on Mount Washington, N.H., above 6,000 feet and above the tree line. But the equipment there is sited in agreement with NWS standards. That facility's mission is to do good science. Don't get me wrong -- Grandfather Mountain is a wonderful place. Hugh Morton has developed a nice combination of tourist attraction and wildlife preserve, keeping the vast bulk of his mountain as natural habitat. Development has been kept to the lower parts, allowing a profit to help keep it all going. I congratulate him on this tasteful approach. But these inflated weather statements make it out into the world. Local media people and weather experts were besieged after these reports by people worried about whether their mountain retreats had been destroyed. 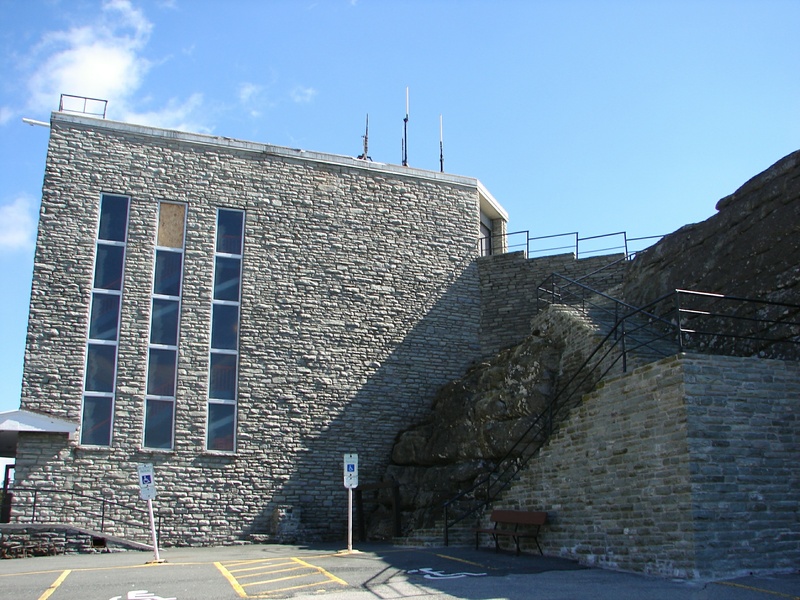 It's time to set things straight and bring their weather reports up to Grandfather Mountain's other high standards by installing new equipment in an appropriate location. They could even leave the old gear there to compare the results. Do it in consultation with the weather service. I am sure everyone would be interested in getting valid data from one of the highest peaks in this area of the state. I have an old digital thermometer that I used to log temperatures for years before getting my new weather station. I know the temperatures it displays are always a few degrees too high. I hope to calibrate my own old data by logging data from both for a while to establish the typical error. I'm setting the record straight. Grandfather Mountain should do the same. Observer community columnist Daniel B. Caton is observatory director and astronomy professor at Appalachian State University. Write him at the Department of Physics and Astronomy, Appalachian State University, Boone, NC 28608, or at catondb@appstate.edu.